Disney’s 125-acre Grand Central Creative Campus located in Glendale, Calif. is set to expand by an additional 338,000 square-feet. A new six-story office building surrounded by lush landscaping, palm trees, a fountain, and a six-story parking garage has been endorsed by Glendale city officials. The first phase of the Grand Central Creative Campus was completed in 2006 and is home to Walt Disney Imagineering, Disney Consumer Products, and the KABC-TV television studio. 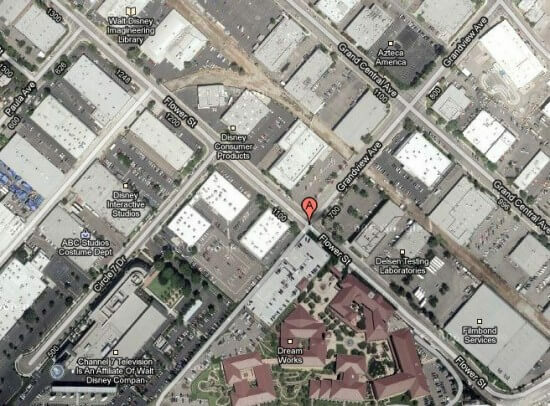 It is located on Flower Street near DreamWorks. Plans are to continue to expand the space regularly through 2035, eventually reaching up to 6 million square-feet of office space. This new second phase of the project is set to break ground in September.